February. In my opinion, a month that doesn’t have a whole lot going for it. Most of us are very tired of winter and some might think it’s too early to think about Spring. Well…not me. I’m thinking about warmer temps, longer days and green grass. To help those good thoughts along, I made a new Spring door arrangement that I will share with you on Sunday. 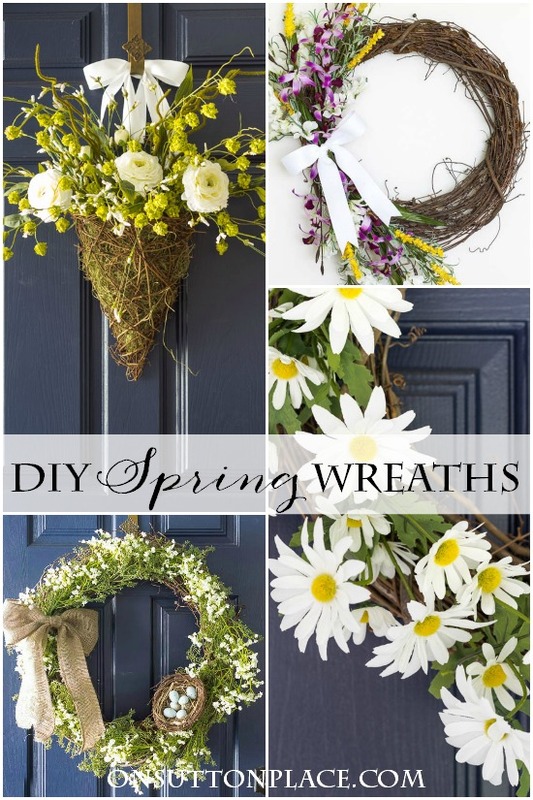 In the meantime, here is a very short round-up of the other DIY Spring wreaths I have featured over the years. Just click on the image or yellow text to visit each separate post. Technically, the daisy wreath isn’t really Spring…but it’s cheerful and easy so I decided to throw it in. I hope you all are hanging in there and not too tired of winter. Here in Ohio, we have had a few surprisingly nice days that felt like Spring. They were like tiny gifts from God…something to lift your spirits and remind you of what’s ahead. Before I go I want to tell you that Society6 is offering 20% off all throw pillows plus free world-wide shipping. This is pretty amazing. Since Christmas, their sales have been few and far between. In order to receive the discounts please click HERE to activate the promo code. 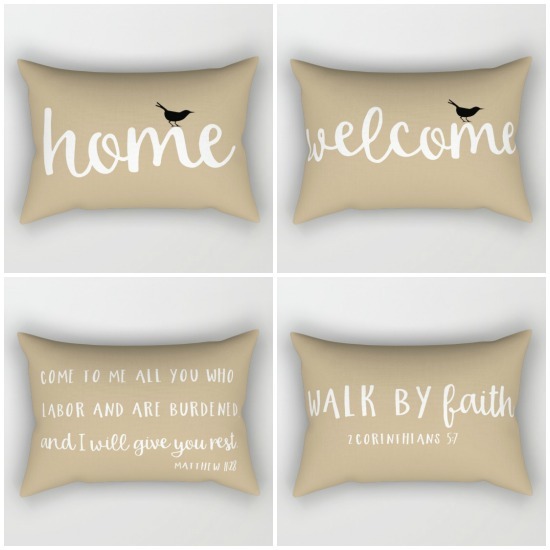 This will take you to my shop and from there click on the “throw pillow” or “rectangular pillow” links. Sale ends at midnight PST on Sunday, February 7th. I am also ready for spring. Love the daisy wreath, it’s so cheerful! I’m one of those who’s been thinking about doing some freshening here and there with my seasonal decorating, but keep telling myself it’s way to early to be thinking about spring. In fact, my front door is “naked” right now because after I took my Christmas wreath down, I couldn’t think of what else to put there. Your spring wreaths are quite an inspiration for me. 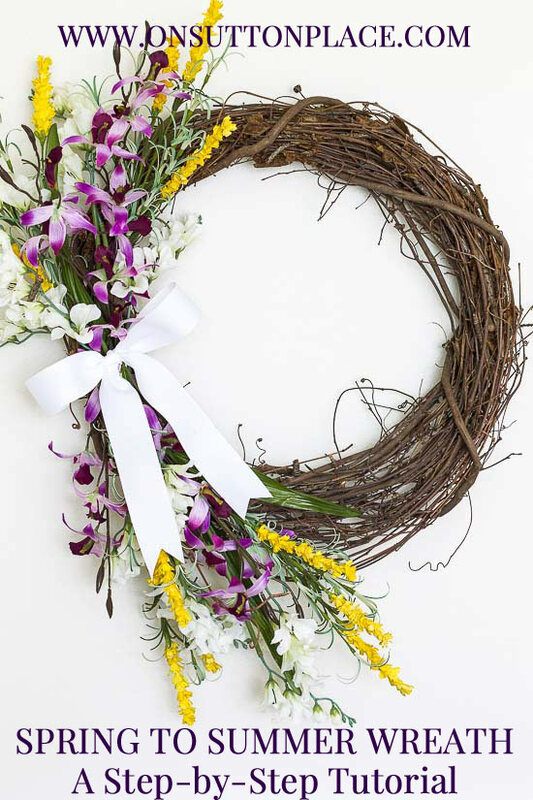 I’m definitely going to make your Spring to Summer Wreath to put up as soon as spring arrives. You’ve also given me some ideas about what I can do with my “naked” door in the interim! Happy In-Between! Isn’t it funny what can cause us to decide what a month has “going for it”? Some reasons why I love February:Ground Hog Day, George Washington & Abe Lincoln’s birthday, that wonderful every-four-year 29th day, at least one sure snow day (maybe not this year in NEOhio! ), days getting longer, Ash Wednesday & the beginning of Lent, Valentine’s Day! When our girls were young, our home was bursting with paper ground hogs, cherry trees, log cabins, profiles of the 2 presidents, hearts,cupids! They loved the stories of George & Abe. We’d spend hours designing & making Valentine boxes. We were so excited that Spring & Easter were just around the corner. We love February! All that said, I’m not wild about March…Oh, except for March Madness & St. Patrick’s Day & the “in like a lion, out like a lamb” dilemma. Oh well- thanks for another great post! Beautiful wreaths, Ann. Exquisite! I can’t wait til Sunday! Love all of them but the daisies warm my heart. My Dad always had beautiful daisies growing in his garden all summer. Mom always had a bouquet of daisies somewhere in the house. Fond memories. Beautiful! Looking forward to Spring! Ann, your talent continues to amaze me! 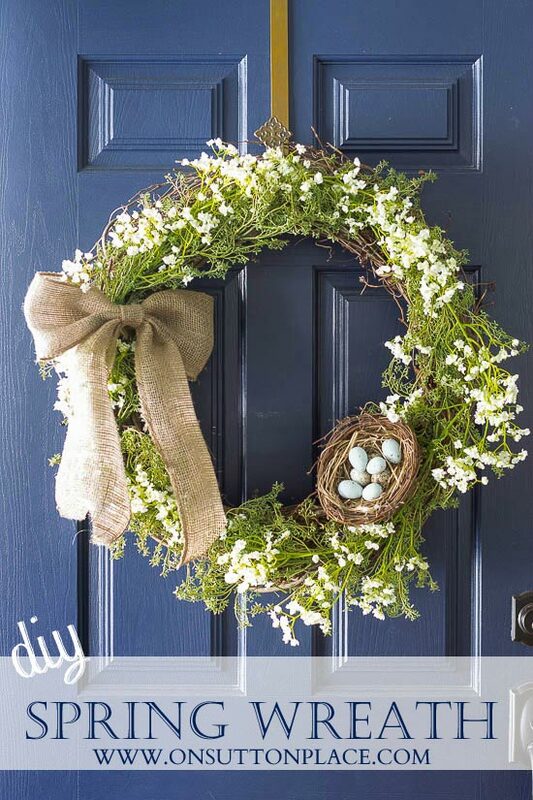 I’ve been thinking of creating a “spring” welcome on my door and you’ve encouraged me. Texas weather is so fickle ~ it’s been bitterly cold and windy and then we have days in the 70’s. Thanks so much for sharing and I’ll visit Society 6. 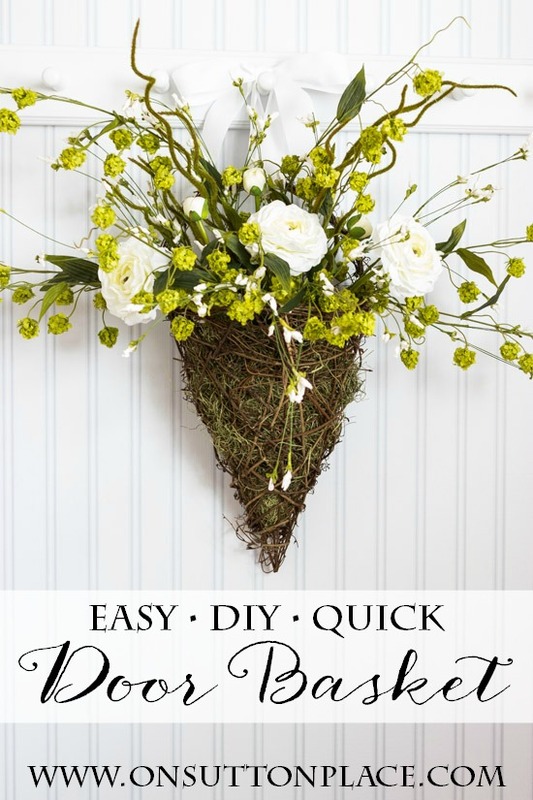 I love the wreath with the birds nest. It’s so light and airy. It’s just like a breath of spring. Yes, please. Thinking of Spring and it can’t come soon enough. I LOVE daisies and so that is my favorite wreath. 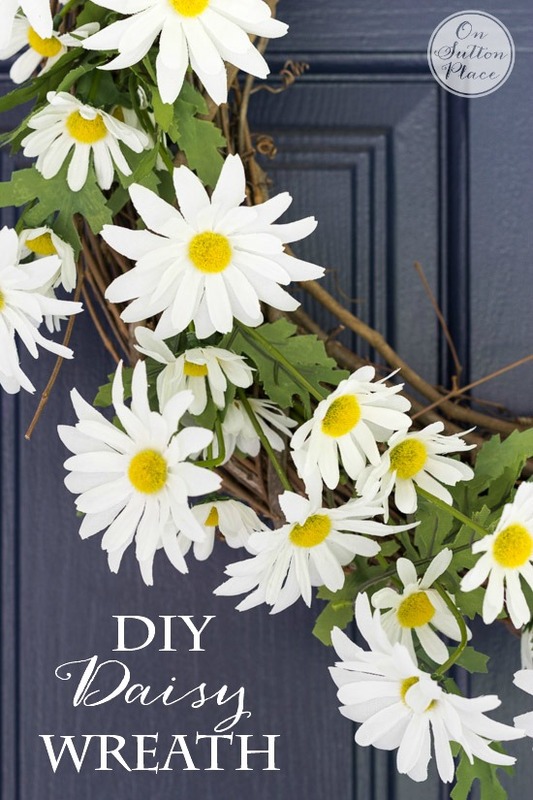 I make wreaths for every season and holiday and now I must have a daisy wreath. My husband always groans and asks, “But where are we going to store them?” These are lovely.